The couple have their son to thank for their discovery. After a year traveling through South America—during which he was most impressed by Colombia—he persuaded his parents to come back with him and travel around Colombia. The three of them backpacked through the country, sleeping in hostels and taking buses from village to village and on to bigger towns and cities. Medellín was their last stop on the tour—their son set it up this way, expecting them to appreciate this city above all. And they did. On the way home, Steve discovered Live and Invest Overseas—and was just in time to join our first Live and Invest in Colombia Conference in 2012. After that, there was no going back. The couple bought two apartments on their next trip—both of which they put on the rental market. Today, they continue to rent out one, while the other has become their full-time home. The big message they like to share with potential expats is how important it is to make connections and build lasting relationships in your new neighborhood overseas. 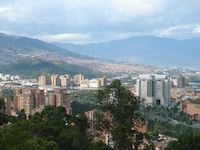 Five years on from when Patricia and Steve joined us as newbies at our first event in Medellín, is there still opportunity for the expat? Absolutely, yes. You’re not too early (the path has been paved and help is available to guide you through your move). Nor are you too late. The exchange rate here is still dramatically in your favor. All that’s left is to come down here, see it for yourself, and tap into our friendly network of experts and expats who can prepare you for a smooth, safe, and highly satisfactory move. If you’re not already on the list to join us this April 19–21, it’s not too late. We still have a number of seats left. 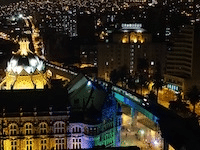 Our mission as always is for you to come away from the Live and Invest in Colombia Conference knowing if Colombia is right for you… and whether you’d be happy living or investing here. And, should you fall under its spell, you’ll have all of the information and local contacts necessary to help you follow through on your own plans. 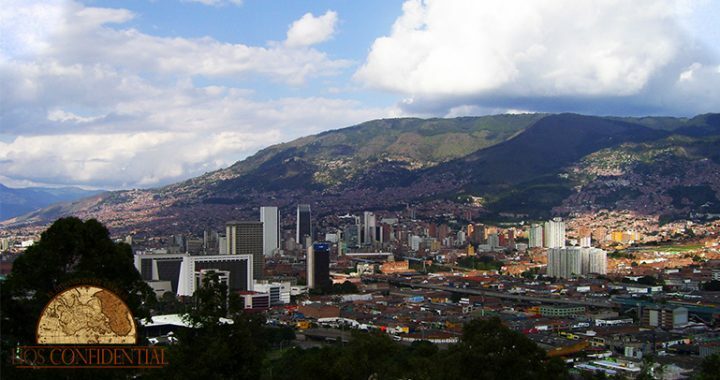 Go here now to reserve your seat in Medellín—use Coupon Code COLCONFIDENTIAL to avail of your exclusive reader discount. I look forward to welcoming you to the City of Flowers. Posted in Live And Invest Overseas Confidential and tagged Life In Medellín, Life In Medellin Colombia, medellin, Perfect Weather.